Is it okay to send out my job applications through my current office email address? * I’m applying for jobs on my current company’s time (and will do the same to you). * I’m applying for jobs using my current company’s resources (and will do the same to you). * I don’t realize that there’s anything wrong with the two things above. Plus, your work email account is not private. It belongs to your employer. If they happen to access it for some reason and come across job applications, I cannot tell you how awful that looks. Get a gmail account and apply for jobs when you’re not at work. I’m guilty of filling out online applications for other jobs while at work… but it was on my lunch break! And never by sending communications through work-email. Just be careful of using a work computer. Usage may be monitored. I can’t understand why anyone would want to do this. While I think applying for jobs and responding to recruiters etc. while at work might be inevitable under certain circumstances (depending on the hours you work, whether you have down time at work, whether you have weekends free, whether you are simply too tired at other times etc. ), it would be ideal to keep it completely out of the workplace. At the very least, no need to use work email. In any event, as a practical matter, wouldn’t you want to have easy access to all those emails after you leave, even if leaving to go directly to a new job? We did this as interns working at the UN and were encouraged to do so by the head of our department. Without the un.org email address attached to our application I doubt any of us would have gotten second or third looks. I think that being an intern (especially at the UN) would be the exception to the rule because it is expected that you will be looking for a job for later. I can’t think of too many places where the prestige of the work email address would trump how it looks like you are using company time & resources for personal use, though. Similarly, when working part-time, I worked on my job search and applications during down time (my job involved being present at a desk but not always having proscribed tasks) but never when I had work to do. I also ducked out to answer my cell phone so I could schedule interviews, etc. (I did not, however, use my work email address, except when applying to a full-time position at the same place.) My manager knew about this and encouraged it, because I was working part-time in a field where part-time work was generally a stopgap measure until landing full-time work. I think this, like your internship, was a completely different scenario than Alison is talking about. I’m sad that this question even needed to be asked. If the OP didn’t already know that this was wrong then they are going to have LOTS of bigger issues to deal with in the work environment because they are likely screwing up other very obvious items too. This is exactly what I was thinking. I think anyone that has read more than five articles here would know that having this question would be the least of their issues. Just think about the people who do it without realizing they should question it. Yeah. It’ll tell the employers you WANT to work for that you have poor judgment, and it’ll tell the employer you work for now that you have one foot out the door (AND that you have poor judgment). Why would you want to do that? Yep. I was hiring for an entry-level position and saw this. When you have 200 applicants for one part-time job, things like this get you tossed into the “not interested” folder really fast. In my company someone was fired over this once. He was supposed to be home sick and he logged into his company e-mail to fire off a job search. His manager requested access to his e-mail so he could take care of business while the sick employee was out… yeah he was not sick and ended up being let go. Not ALL managers would do this, but some certainly will. He could have been sick and also applying for jobs. I can multitask while sick. Of course he was also just kind of dumb. Especially since he used his work email and not his personal email. I would never do this when conducting an outside search. However, I am in the process of applying for an internal opening. I’ve done all the prep work (resume update, response to supplemental questions, cover letter) at home and on my own time. Would it be appropriate to use my work email address in this situation? I am likely to be contacted via my work email and phone number. For an internal job, absolutely! I think it would actually be weird if an internal candidate sent in an application from a personal email address. I completely agree with KarenT. I have applied for internal positions before using the university email address and contact info, as it was for a promotion and I’m sure my manager would have thought it weird for me to do anything else. I do think it should still be done on your own time unless encouraged otherwise, just to give the best impression. Just my two cents though. I work in research at a university, and for internal position as wall as other positions at other universities I would use my work email. The reason I would use if for other universities (but not an industry position) is for proof of where I work, and who I am associated with for the research part of it. Yes I would put all that in a cover letter, but the email is just an easy way to try to get noticed. This is an exception since you they know or will know as soon as they look at tour app that you work there. It might even be a case where you can work on your appliction and the questions on work time, but that is depenedent on your enviroment. I can think of some somewhat unique situations (sort of like the UN situation above) where I don’t think this would be frowned upon, but you should know you workplace before you do it. Completely different situation. In this case you’re using company resources to apply for a job within the company, and there’s no reason to fear what happens if your manager or IT sees your application. Not like the egregious error of using company resources to try to get a job outside the company. This has been a nerve-wracking experience for a number of reasons and I don’t want to make a mistake now that I’m nearly ready to apply! My manager is aware of my intent to apply, as is the hiring manager/person to whom I would report. It is in a different department, however, so I think it’s best to work on my application materials on my own time. I’m careful about even looking at job postings at work. I’ve wanted to look at a job posting for a totally innocuous reason, like helping an intern out, or curiosity about turnover at a similar organization, and I hesitate. I love my job and I’m not looking, but I’d hate for that to get flagged in my browser history. I do think it’s different if you’re an intern. You still have to be careful about using company time, but the company is often willing to help and mentor with the job searching process. I’ve looked for jobs for my sister during my lunch hour before – it does feel a little weird because she’s in a very similar field, but the jobs I’ve been looking at are a more junior level and my manager and other co-workers are aware that my sister is in the same general field and is looking to move to my city. This yayhoo is searching for jobs when he should be working and doesn’t even realize that’s a problem. Does he have no sense of responsibility? It’s clearly a bad idea for all the stated reasons, but it’s not necessarily the case that people doing it are searching for jobs at work; lots of people have access to work e-mail at home. I’m not gonna lie, at my last job where I was miserable I would sometimes poke around at jobs during down time (first thing in the morning, around lunch time, etc). But I would have never ever even considered a) actually applying for a job while at work and b) using my work email to do it. I was even unsure about applying for jobs during regular work hours when I legitimately had the day off, because it might appear to employers that I was using work time to do it. I’ve also wondered whether employers would be critical if they receive an application and/or correspondence during regular work hours. So in the past I would try to send things during lunch or after hours, which is usually when I could get to it anyway, but still. I suppose I wouldn’t rule anything out, because some people are irrational and will rule out a candidate for any reason at all. Still, I think it would be silly for an employer to put much weight on the time an application was submitted, independent of any other factors. There are lots of completely mundane reasons to explain that without jumping to extreme conclusions. Agreed. And I can tell you that tons of applications come in during work hours. No one will think anything of it. Yep, this would be all kinds of bad., especially considering there are TONS of free email services (gmail, yahoo, hotmail, etc) that enable job searchers to obtain a free email address with their name (jane.doe@gmail.com for example). Yes, it tells me that the applicant lacks technical knowledge. It’s seriously easy to get a free hosted email account and use it. I have about four, and I set up gmail to check all of them. Plus my domain emails and the sites I manage…but that’s a whole other box of cats. Exactly! I have a personal email, a professional (first/last name) email, and one for my blog. All of them feed in to my one account just fine and I never worry about missing correspondence. This is NOT hard and would absolutely be a red flag for me. I think people forget that there are lots of little rules about working in a professional environment that aren’t written down or explicitly taught anywhere. You pick them up as you go along. But it is very possible to work in America (have a career even!) without knowing basic office norms. Actually the vast majority of Internet users today are smartphone owners. In ESL, Citizenship, and GED classes, it’s common for nearly all the students to have some kind of smartphone. (we are making use of this for distance education) So, I think while your scenario used to be true sometimes, it’s very much less likely now. As far as the office norms, that is true, but still this seems like a no-brainer to me. I don’t know that you can really apply for jobs from a smart phone though. I guess you could under certain circumstances, but it’d be difficult. Not defending using work e-mail, of course, but I can imagine situations where it’d be difficult for people. And assuming they do have a smartphone, how exactly are you supposed to do an online application on your phone? A handful of years ago I lived in a small town outside a bigger city. A good portion of people I knew did not have computers at home. There was one library that had maybe two computers, and I don’t think it even accessed the internet, just the catalog. To use a public computer with internet they probably would have had to drive the 45 minutes into the nearest city, and that’s assuming they can get there when the library is still open, and if they can’t afford any kind of internet I doubt they can afford frequent 1.5-hour roundtrip drives just to apply to jobs. So, yeah. Applying to jobs at work isn’t good. But I think Laura makes a good point about considering who might be wanting to do that. Here’s another viewpoint. Here at work we teach job skills to low skills or low beginning English speakers. Most have smartphones. It’s true though that among low income seniors smartphone ownership is rare. Anyway, here you go, this data is a little newer than the NYT article. It’s changing FAST. Okay, but having a smartphone still limits what jobs you can apply to if that’s the only personal internet access you have. I don’t even want to imagine trying to load and fill out a Taleo application on my phone. Or even trying to create and format a resume document on that little screen with no keyboard! I can definitely understand #1 but #2 should not be an issue. If they truly do not own a computer or have access to one close by (as in the library example) then I can see using an office computer while on break/lunch/after hours but still NOT using their office email. If they have internet access they should be able to access another email account and use that for applying for jobs. Obviously if their employer monitors web usage and sees that the employee is looking at job listings then that could be a problem but using office email could be avoided. Just to throw another monkey wrench into the process, my employer – a major healthcare company that isn’t especially draconian or anything – blocks all access to non-company email sites. I agree that even if applications are done from the work computer, email should be from a non-work account. In my case though, without a smartphone, I don’t have access to non-work email at all during the work day. I work in HR as a Generalist and we interviewed a GREAT candidate for a payroll position. After the interview was over, the candidate sent a thank you email from his current work email account. My VP did not like that at all…as a result he was not offered the job. …which is one reason never to send important emails like that from your phone! That would be SO disappointing. That’s exactly why I keep work and personal completely separate. It’s just not worth it to make a mistake like that. What if you have work and personal accounts that have similar addresses? For instance, I’m an alum of a university (so I have a personal account that has the school name in the address domain) but I’m also an employee (so I have a business account that has a slightly different version of the school name in the domain compared to the personal account)? I’d rather not set up another gmail account and deal with forwarding (the “personal” account is through Google Apps), and I’m also very proud of being an alum of this institution, but could it come across as job hunting through my work email if people might not know the difference between the addresses? It’s perhaps not fair, but I would have a Gmail account for job searching. It’s not worth the risk of a potential employer getting the wrong idea, and the effort to you is minimal. That’s hard because you’re an alum and an employee. I would be careful and not chance it. I think it’s wonderful that you’re an alum and proud of it but when applying for jobs you want to take the conservative approach and in this case it may be using a generic email address. I’m probably not the right demographic for this since, at last count I had…16? gmail accounts, but…yeah, make a personal email. It’s not hard. 16? Wow! I thought I was being excessive with my 5 (personal, professional, financial [i.e. bank, credit cards], commercial transactions [e.g. Ann Taylor, Enterprise], and spam). I kind of became the de facto gmail creator for any potential project, so in additional to the ones I keep tabs on (professional, 2 personal, blog, pseudonym, spam), I have ones saved for twitter accounts, blogs, comic projects, writing challenges, Etsy stores, etc. etc. Honestly I probably have more I don’t even remember making now. I’m an inveterate name-squatter! You can add anything you want to your original email by adding a +. IE name@gmail.com can become name+ads@gmail.com, name+comics@gmail.com, etc. You don’t actually need separate email addresses, and you can set up filters to put the emails to the special email addresses into folders. I wouldn’t do that for anything with a spam risk though. These types of disposable email addresses are incredibly easy to decipher and harvest. A little bit of easy coding and the spammer has your main email address. Yeah, I think the whole point of multiple email address is that definite separation between them . . . if they’re all going to be easily linked, what’s the point of all the trouble? But I speak as someone who only has two email addresses (my .edu on for work and my gmail one for personal) and who has only ever kept two email addresses (the work one, and whatever email was in vogue at the time — so I have closed and/or abandoned Hotmail and Yahoo emails from before I hopped on the gmail bandwagon). I can think of situations where this wouldn’t be as heinous as it sounds, like if someone knows that their job is going to end soon (layoff, contract ending, company closing, etc.) and the current employers might condone job-hunting. But a) the future employer may not know the circumstances, so they still get a bad impression, and b) as someone else mentioned, once you leave your current job, you won’t have access to those emails any more, and you don’t want to cut off contact with potential employers or lose records of discussions you’ve had with them. Yeah, even if the applicant knows it’s okay with the current employers, the company receiving the application isn’t going to know that. I was just thinking about this — in the past, I’ve used the soon-to-be-defunct work e-mail to reach out for networking purposes when something like a company closing or layoff is coming, because it gets attention better, but then I’ve transitioned to my GMail account shortly thereafter or when they asked for an actual resume or when I filled out an online application for a position (while making it clear with the person I was talking with). In the case of the networking, the person on the other end is, you know, a person–who can understand the nuance, who knows the circumstances, and who probably has an existing relationship with the work e-mail address (at least, in my case all of the above applied). That’s not quite the same as just dropping a work address in someone’s lap. 2 jobs ago, company was having massive layoffs which everyone in the industry knew about. The victims were told months in advance of their layoff date and provided with career counseling and networking help–which consisted of beer-soaked hangouts in the biggest cafeteria building, so pretty much the whole site was there whether they were being laid off or not. HR also gave us two-hour seminars on how to write a modern CV for people who hadn’t been on the job market in a while, and what would happen if you were chosen to be laid off. First thing the HR guy said was, make your own personal hotmail/gmail and use that. We (i.e. Company) don’t actually care if you’re job hunting or doing phone interviews or taking off for job interviews or whatever during the workday–feel free, we know you got a raw deal–but it looks bad to other companies. He described the various traits this email address should have, and I am pleased to say that they are all the things Alison recommends: yourname12345@whatever.com, not hotDDchix@aol.com or an address shared with someone else, checked at least daily, no fancy sig files, no weird formatting that would be messed up in plain text. While I would never use my work email to fill out applications having a full-time job does present its issues with the job hunt. I have found there are days where I saw a lot of postings and felt I really needed to get my applications in, so I would simply ask for a day off here and there (in advance of course). Additionally, I love networking and found many job seeking events took place in the morning. Again I would simply ask for time off and use my personal time. Sometimes we full-timers must make adjustments to the schedule to allow for interviews, phone calls, networking, etc. But it should always be on your own time. I will admit, as others have, I have viewed postings then saved the links for later, but I don’t apply on the job (besides you never know how long a job application might take and what information you might need). 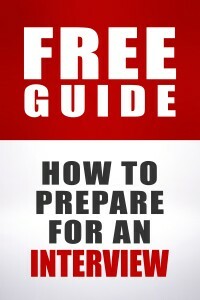 Most recruiters understand you have a job and might need advanced notice or to plan outside of work hours. The only exception I’ve seen is when university graduate assistants and postdocs are applying for external academic positions. I’ve sat on a few academic hiring committees and it’s fairly common for GAs and postdocs to use their current university’s email address during a job search. Agreed. It’s a parallel with the intern situation mentioned above; people expect those positions to be temporary, so it’s viewed as okay by both sides for people to use their work resources to find permanent employment. Completely unrelated to the topic, I love the Ann O’Nemity screen name. Took me a minute to catch on. I read the title of the post…and just started laughing. I don’t know about the US, but in Australia the main jobs website is Seek…and they have an app!! I have my favourite searches, and I can favourite jobs and view them later on my computer. It’s great! Though sometimes if a job excites me enough I’ll apply as soon as I can…which is usually on my work computer. My other option is to draft the cover letter in a Word Doc and save it to a flash drive later. But yeah, while it’s hard to apply for jobs on your phone, searching for them is easy enough, and a time saver. The only time I’ve ever job hunted at work was when I was looking for an internal position, and you had to be on the company Intranet in order to access internal positions. Any other instance of job hunting at work looks horrible. And using your current work email address sends a bad signal to whatever companies you are applying to. We have the same situation where I work….. a company Job Bank that is only accessible via the company’s intranet. The problem is, anytime an application is sent, your current manager also gets a copy – so they know you are unhappy/looking elsewhere (basically the kiss of death for any employee). This seems wrong on so many levels to me, but I don’t know what to do about it…… any suggestions? I tweeted this same idea last week, that it’s not a good idea to use company email or even phone number in many cases, and an acquaintance asked me to explain why not. 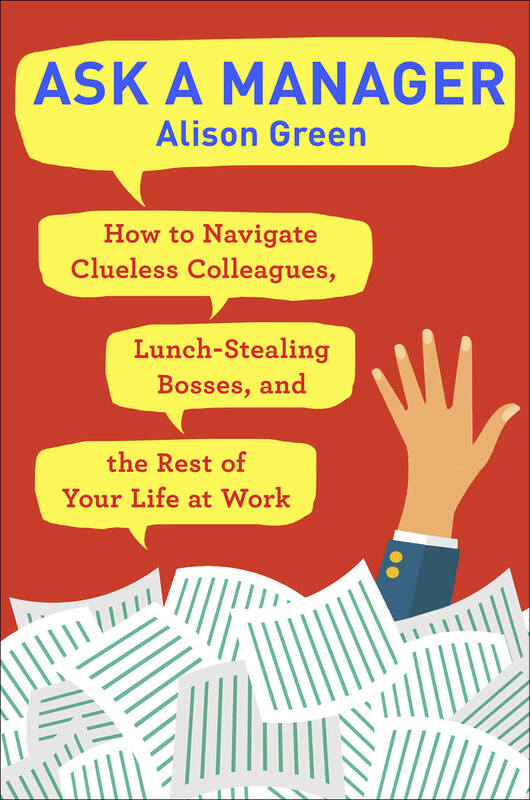 I just tweeted Alison’s blog to reinforce the point. I agree with some of the exceptions mentioned, like internal positions or the UN interns, but in most cases, you should be using a personal email that sounds professional. Not your company account, or an email called studmuffinxxx@… either. Ok I made that one up, but I’ve seen some totally inappropriate ones. Even if you’re frustrated by having yet another email address,I would treat it as a job search necessity. My mum communicated with a recruiter through her work email. Having said that, she is Chief Information Officer of her company and is in total and singular control of all of their IT systems. No one (including the CEO & owners) can have access to any IT without going through her first. So I suppose she feels like it is “safe” at least. “total and singular control” what would they do if she got hit by a bus tomorrow? I’ve always wondered if others use the phrase “hit by a bus”. I keep a binder in my office labeled “hit by a bus” just in case something ever happens. The only problem is that I’m not very good at keeping it updated. However, I think many smaller companies have knowledge that only really lies with one person. For instance, we have a specialized piece of software where I work that I’m the master administrator of. Others use the software and could probably fumble their way through the admin side with the help of a manual and tech support. However, they are not proficient and the business would hurt for awhile info was not there for some reason. I have called it a “hit by a bus”, “won the lottery” or “eaten by a bear” (because there are more bears than buses where some of my colleagues are though I may just change it to “hit by a moose” cuz those things can take out a car and walk away). BTW I have temped for a woman who was hit by a taxi. She had a new boss and no written notes for her job. I was there 2 months and never did figure out what she did. Same rule should apply for faxing resumes in. We don’t receive many this way anymore since almost everyone either completes the online application or emails in a resume. I received a faxed application and resume from someone and it was clearly faxed from their current employer and even used a cover sheet from their current employer. It went immediately into the no pile. I’ve seen this so many times when clearing out old employees boxes to retain emails for audit/file history! Also seen people who’ve set up their kids school club newsletters, their medical appointment reminders, their loyalty card schemes, their shopping site accounts and their social contact conversations through their work email. I wouldn’t do any of these! The one that made me feel really awkward was finding an email from the employee to a social contact which included talking about the employer I was working for being unfair for X or Y reason… yeah, didn’t need to see that! More on topic, I can’t believe we are in 2013 and people have to be told to use gmail/hotmail/yahoo for job applications. Haha, one semester I had an college senior intern to whom I had assigned some tasks and when I looked at her computer she was working on her resume. I said, “At your next job you may not want to work on your resume at work.” She said, “I told them I’d have it done today.” I think she really had no idea that this was a problem. 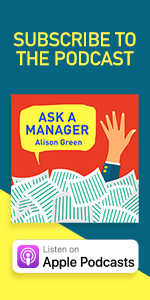 Have you never read Ask A Manager? send to new job for my email. A question of ethics….? I work for a State Agency. We have an internal Job Bank that we can use to browse, search, and apply for, other State jobs – it requires a log-in. I just found out today that when an application is sent via the Job Bank, even to a different State Agency, our current manager is notified of the application. Everything I have read usually says to keep a job search confidential, especially from your current employer. This practice (of my boss being notified every time I apply for a different position) strikes me as being extremely unethical. Are there any means of recourse for me?